For finding general options of “Better Reviews” plugin go to Better Studio → Reviews. All of these options can be overridden in single posts where you create a review. 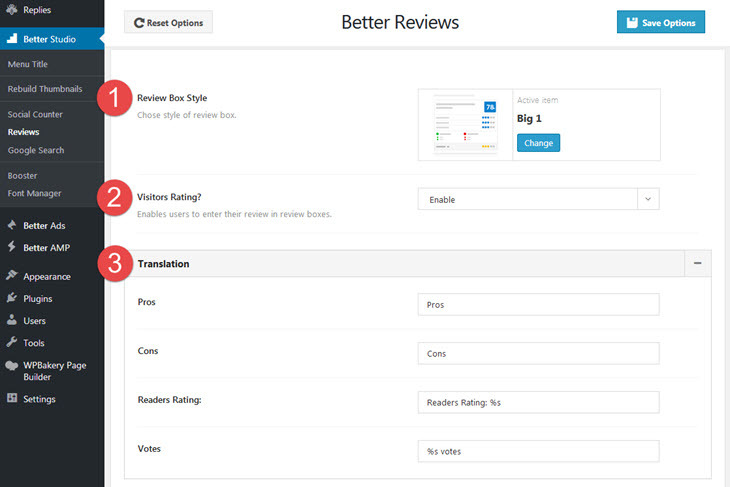 1- Review Box Style: Select default style for your reviews. 2- Visitors Rating? Enable users to submit their score in your review box. 3- Translation: Translate plugin words.